We are refreshing our partnerships and data storytelling agreements for 2017. If invited to this page, it means you are among the hand-picked events organizers we would like to work with. 1. 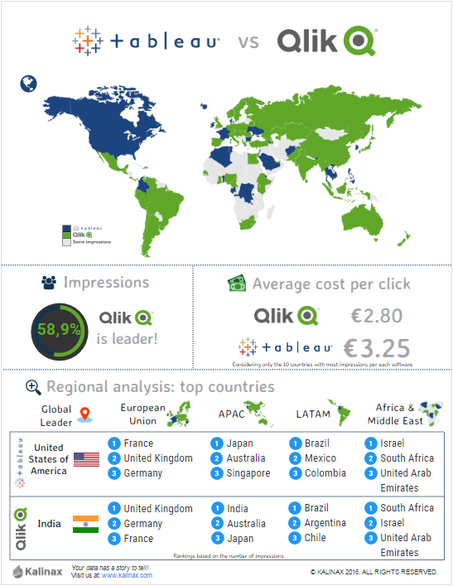 Regional and global interest-based reports and infographics on the event. These products are pre-designed to integrate with various social media platforms. ​2. Additional data-driven infographics based on your own data. Your idea gets transformed into a finished product in less than 48 hours - we have the specialists and self-developed software solutions to make this happen. ​As we are confident in our service, we offer our new partners a cancel-anytime (trial) agreement for Q1 2017. The Kalinax team is looking forward to co-operating with you. Talk to us today! Drop us a note. One of our experts will be with you shortly. Our experts release various reports and inforgraphics externally. Just one more way we add value to the data community and the business. who we hire, who we partner with and the way we process your data. 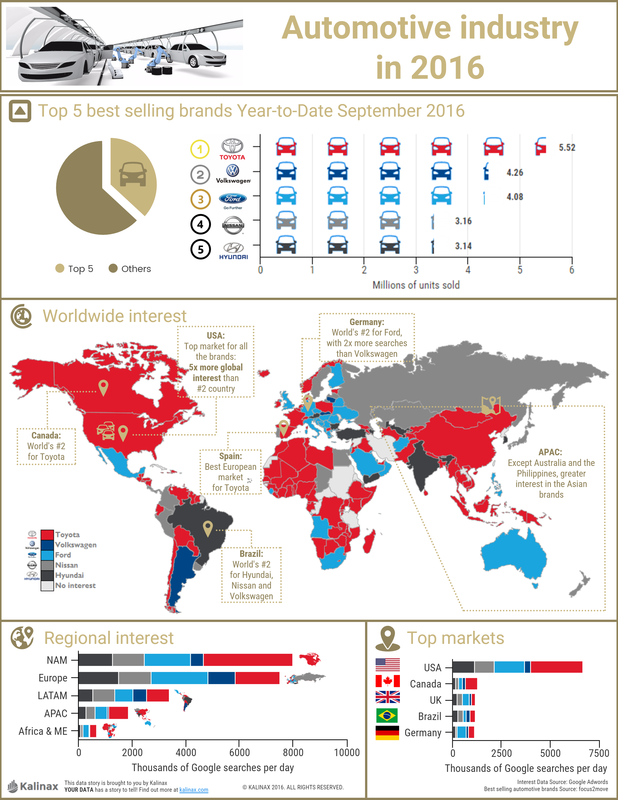 With 5.52 million cars sold year-to-date September 2016, Toyota outperformed all other selected brands in sales. ​On average, 270,586 people search "Toyota" around the world every day. Sources: focus2move (sales data); Google Analytics (search data). Both companies boast impressive sales and brand value, but how does that translate into their popularity across the globe? 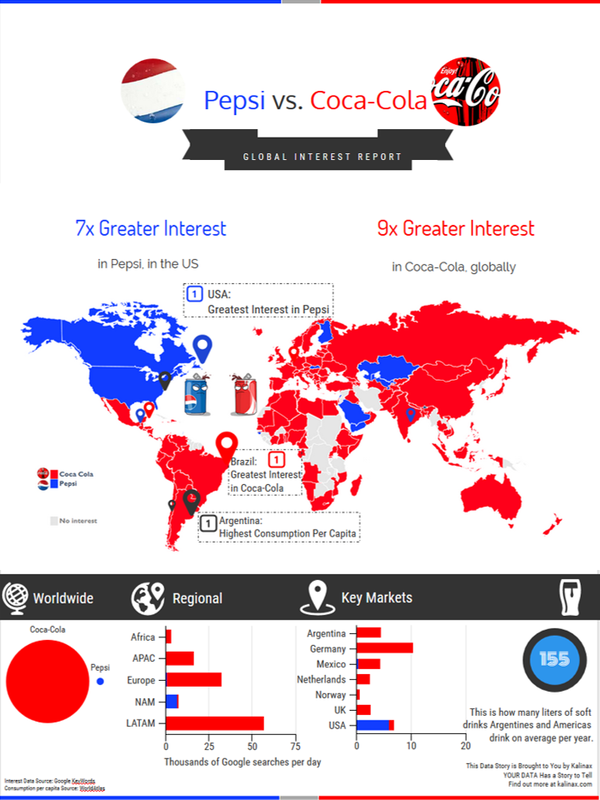 Our infographic reports, while also linking to recent reports on soft drinks consumption.